The birthplace of water in the universe has been the focus of Southern Utah University professor Brandon Wiggins’ research for a long time. 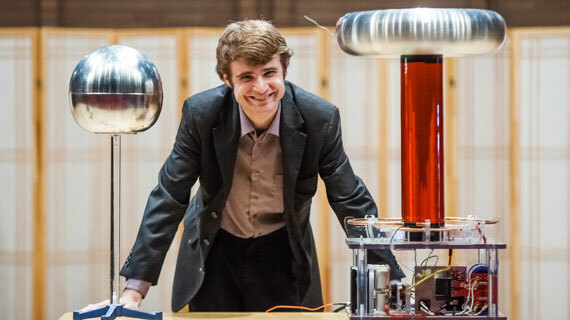 Recently, that research garnered him second place for the Best Scientific Visualization at an international competition hosted by the Institute of Electrical and Electronics Engineers (IEEE). “I’m a guy that looks for water in the universe in general,” Wiggins says of his research. By better understanding the origins of water in the universe and how that water is formed, Wiggins hopes to help answer the question of how common life is in the universe. Wiggins was the principal investigator on the project, “The First Water in the Universe,” which brought together scientists from SUU, the University of Texas at Austin and the Los Alamos National Laboratory. Together they worked to create a groundbreaking scientific visualization that combines chemistry, cosmology and art to create visually stunning representations of complex data sets. By working together to combine all of the scientific data together in the same 3D space Wiggins’ team has been able to create data visualizations that are both beautiful and scientifically useful. The team’s visualization was showcased at IEEE where it received the second place prize. Thousands attended including representatives from Apple, IBM, Intel, Microsoft and other tech and computing companies. 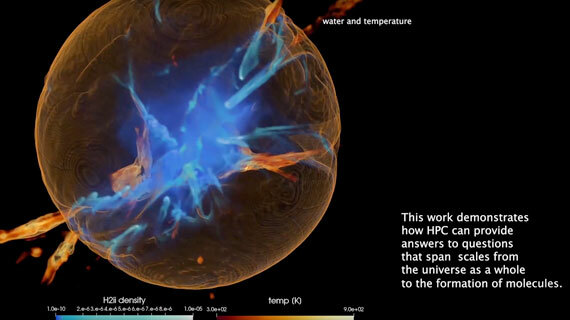 Two positive outcomes came from the “The First Water in the Universe” simulation. Not only did the team’s video visualize Wiggins’ years of research on the origins of water it also showcased the potential and options for data visualization to a worldwide audience of giants in the technology industry. Brandon Wiggins is an assistant professor of physics in SUU’s College of Science and Engineering.